The Arts Center of Cannon County presents Hello Dolly. This 1964 Tony Award-winner for Best Musical is based on Thornton Wilder's 1955 play "The Matchmaker" and is the basis for the 1969 film directed by Gene Kelly and starring Barbra Streisand, Walter Matthau, and Michael Crawford. Dolly, the famed New York City matchmaker, receives her toughest challenge yet when rich grump Horace seeks a suitable wife. She successfully matches many others in the city, including Horace's niece and two clerks, but everything seems to go wrong when it comes to matching Horace. Dolly finally realizes that maybe she'd like to marry Horace herself, but only if her late husband will send her a sign - and if Horace himself will have her. Tallie Fausnaught, Melissa Ming, Bethany True, Kyle Williams, Jakholbi Murry, Jason Jones, Delanie Sullivan, Bob Martin, Daniela Kam, Holly Adams, James Bessant, Sharon Bessant, Tim Kelley, Rae-Lynn Stickney, and Peri Watson. Performances run November 2, 3, 9, 10, 16, 17 at 7:30pm and November 4 & 11 at 2:00pm. Tickets are $15 with discounts available for students and seniors and can be purchased by calling 615-563-2787 Tuesday through Saturday 10AM-4PM or online at artscenterofcc.com and (subject to availability) at the door one hour prior to show time. 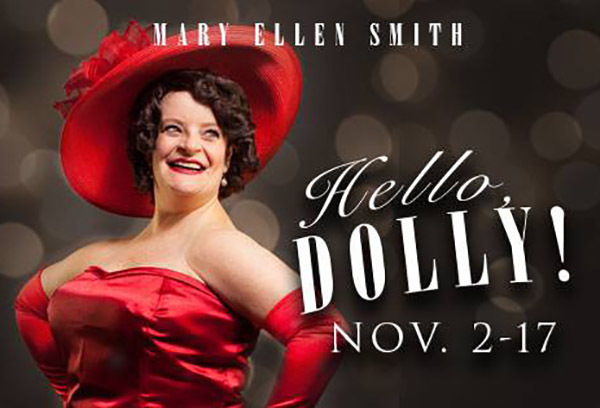 Hello Dolly is rated G and is sponsored Smith Funeral Home. The Arts Center is located on 1424 John Bragg Highway, just west of the town of Woodbury, approximately 20 minutes from Murfreesboro, Manchester, and McMinnville and one hour southeast of Nashville. Office hours are 10:00a.m. to 4:00p.m., Tuesday through Saturday. For more information call 615-563-(ARTS) 2787. Check out our web site at www.artscenterofcc.com.